Colombia’s plight: Trafficking in hope? I wrote this piece for the Dallas Morning News. It was published on Sept. 5, 2004. 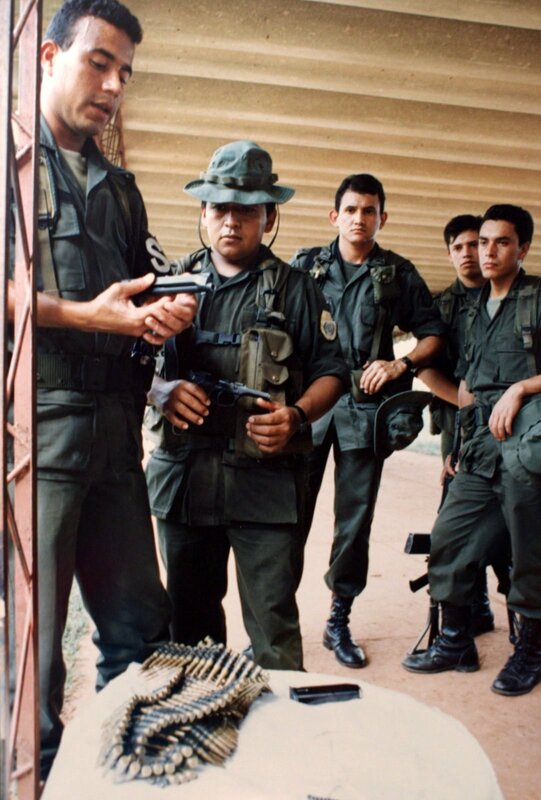 BOGOTÁ, Colombia – Indicted on charges of shipping tons of cocaine into the United States, right-wing militia leader Salvatore Mancuso insists he and his followers are Colombia’s only hope. Disbanding his militia, he told Colombian lawmakers recently, would be “a disaster,” leading to economic collapse and bloodshed of nightmarish proportions. Such is Colombia these days, where some say the government is forced to depend on accused traffickers, criminals and “psychopaths,” as one U.S. official called them, to keep leftist insurgents at bay. 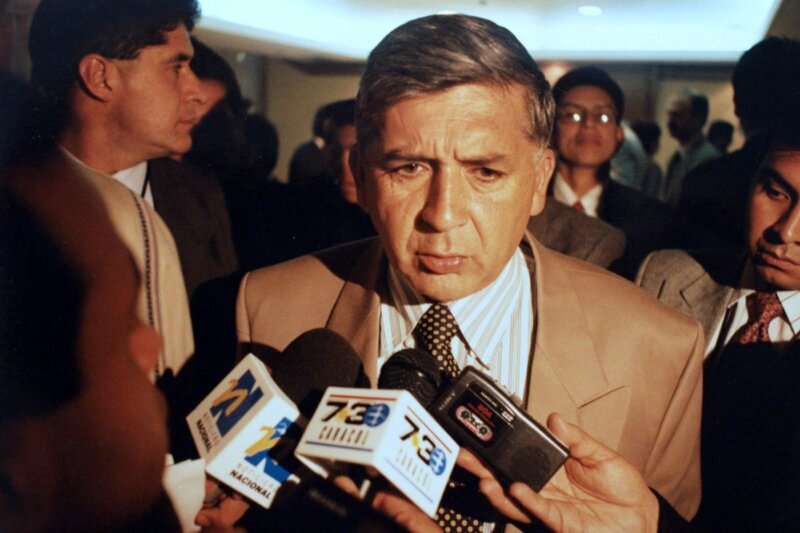 Mr. Mancuso, emboldened leader of the Self-Defense Groups of Colombia, or AUC by its Spanish initials, was indicted on cocaine trafficking charges in the United States in 2002. Four other AUC members or leaders have also been indicted, and many others have been linked to murders, torture and disappearances. Colombian President Alvaro Uribe, who issued a 48-hour safe-conduct pass for Mr. Mancuso so that he could appear in Bogotá, said he was only trying to find an end to the war. That led to a flurry of accusations that Mr. Uribe had a cozy relationship with the paramilitary groups. 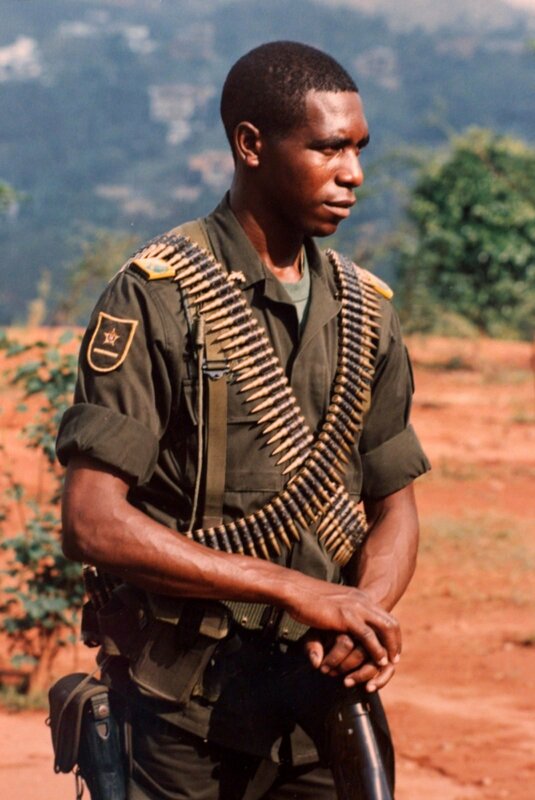 His supporters denied that and said his soldiers and police, numbering 245,000, had captured or killed 1,601 militia members in the first seven months of the year. Still, many criticized the appearance of Mr. Mancuso and two other militia leaders in Congress. The government fails “to recognize that they’re to blame for atrocious crimes and worse yet … there’s been no justice,” Rep. Gina Parody said. The armed conflict in the nation of 42 million began in 1964. Since then, more than 200,000 people have been killed and more than 2 million forced from their homes. 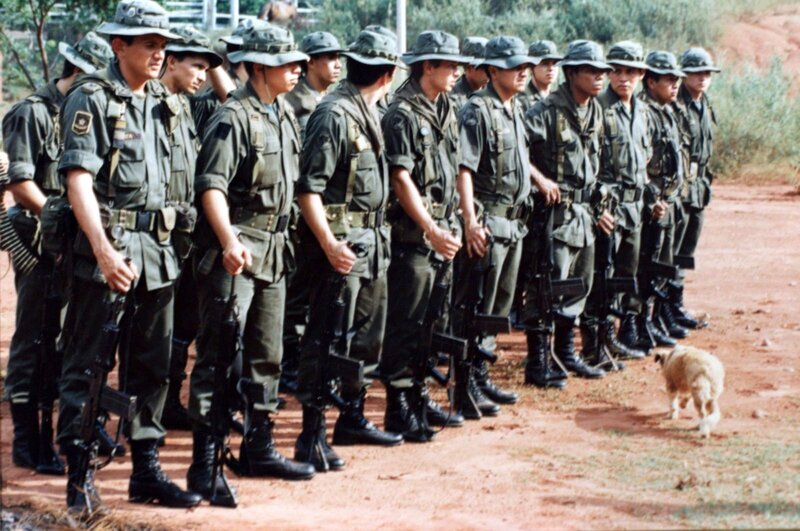 The Revolutionary Armed Forces of Colombia, or FARC by its Spanish initials, is the oldest and largest rebel group with an estimated 28,000 fighters. Homegrown militia groups that sprung up in the 1980s and were financed by drug lords number about 15,000, up from 12,000 just a year ago. “Paramilitary militias are becoming very powerful and nothing is being done about it,” said Sergio Jaramillo, former strategic adviser to Colombia’s defense minister. Militia supporters now control at least 15 percent of the votes in Colombia’s congress, up from 3 percent just a few years ago, lawmakers say. Especially troubling, some say, are their longtime ties to the U.S.-backed military. 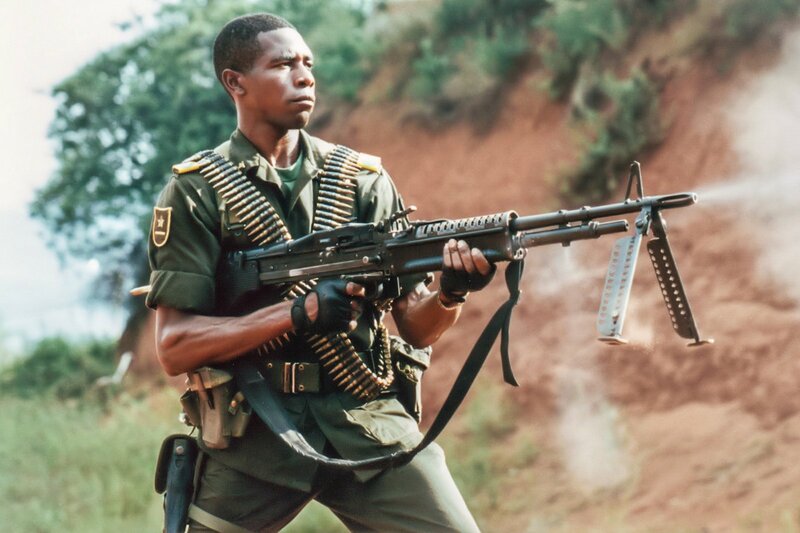 “One thing that’s widely known – and widely denied – is that sectors of the armed forces support the AUC,” said Antonio Navarro Wolff, a senator and a former leader of the now-defunct M-19 guerrilla group. “Some government commanders promote, encourage and protect paramilitiaries, share intelligence, coordinate military operations and even share fighters with them,” Human Rights Watch reported earlier this year. Militia members have also infiltrated local government, the judicial system and universities in parts of Colombia, said Ivan Cepeda, 42, a columnist for Bogotá’s El Espectador newspaper. Mr. Cepeda said militia members murdered his father, Sen. Manuel Cepeda Vargas, in 1994. Those who are sympathetic to the militias paint an entirely different picture, blaming the insurgents for countless murders and other atrocities. Eleonora Pineda Arcia, 37, a member of Colombia’s congress, said rebels killed her father and three brothers. After Mr. Uribe launched the largest ever offensive against the rebels this summer, many displaced Colombians were able to return to their homes. Ms. Pineda credits not only government soldiers, but also Mr. Mancuso’s militia. 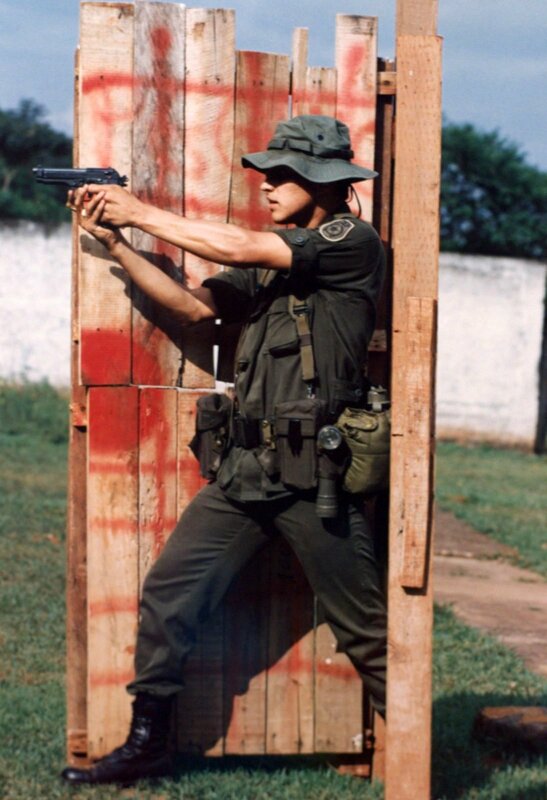 Colombia is a safer place now that the rebels are retreating, most people agree. But no one is quite sure how long it will last. “If there is to be a definitive agreement with the paramilitaries, the government must threaten them credibly with military consequences should they … refuse to disarm all forces, end drug trafficking and other criminal activities and pay reparations,” the study said. Among the many sticking points is how much leniency, if any, to give militia members who have committed crimes. That makes the peace process “in many ways more controversial than similar processes with such notable bad guys as the Tamil Tigers in Sri Lanka, the Taliban in Afghanistan or the Baath Party and Republican Guard in Iraq,” U.S. ambassador to Colombia William Wood told a Washington crowd earlier this year. Mr. Mancuso and others demand amnesty for past crimes and no extradition to the United States. But critics say he and others should serve at least 10 years in jail. AUC leaders have been negotiating with the government since July 2003, and last year agreed to turn in their weapons by the end of 2005. But it’s unclear if that will happen. Ex-rebel Navarro, who lost his left leg after a grenade attack in 1985, questions whether the conflict will ever end. Many fighters have little incentive to get out of the war business while they reap huge profits from trafficking and other crimes. The FARC alone earns $204 million yearly from narcotics, $96 million from extortion, $32 million from kidnappings and $10 million from other crimes, according to Colombian political analyst Hernando Gomez Buendia. Right-wing militia groups rake in millions more and have invested some of their riches in real estate and other ventures, U.S. and Colombian authorities say. Many experts believe the best way to defeat them is to go after their finances. But that’s a daunting task. Of the 36 top AUC leaders, only 13 are known by their actual names, the International Crisis Group report states; the rest use noms de guerre.